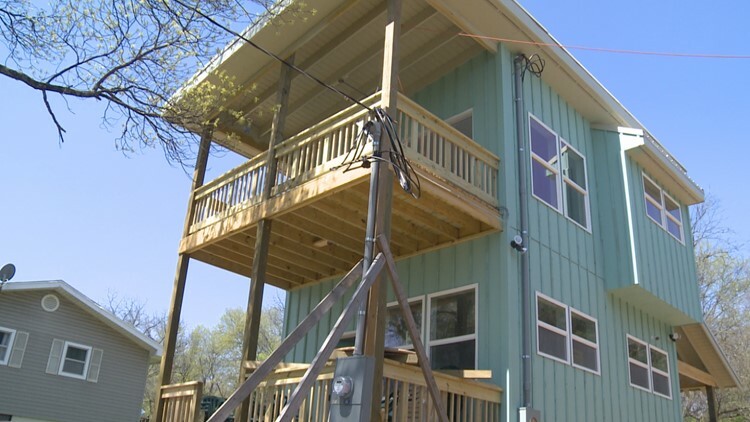 Two miles from downtown, this new neighborhood brings tiny homes to Knoxville. Drive past Western Avenue and go up Richmond Hill. Near the top you'll find some tiny additions to Knoxville — 640-square-foot urban cottages, all part of the Richmond Orchard conservation community. Larger than your average tiny homes, these "site built tiny homes" were developed by Christine and Richard Duncan. "We see it as an opportunity, we wanted to create an opportunity for young people sharing apartments downtown who are ready to invest in their own space, for retirees like us who are downsizing," Christine Duncan said. Their plan is to build 11 houses on the land. The first will be finished by June, the second by July. The homes start at $110,000. Christine and Richard Duncan have developed these Urban Cottages in Knoxville. "Everybody wants to live more simply and have more time for the things that really matter in their lives," Duncan said. Tiny House Roadshow in Sevierville, and now a view of downtown Knoxville. "We pretty much always have a breeze," Duncan said of the property. Duncan designed their own home 25 years ago, but the main draw for her in these urban cottages is the energy efficiency. With tight construction and energy star certified appliances, Duncan estimates they'll each have a $40 electricity bill per month. "There aren't enough small houses, so the size, the size is the missing link in the real estate market," she said. One home has already pre-sold. For more information, you can visit the community's website HERE.